I’ve partnered with InterContinental Hotels & Resorts through ShopShare Network for this post. All opinions are my own. 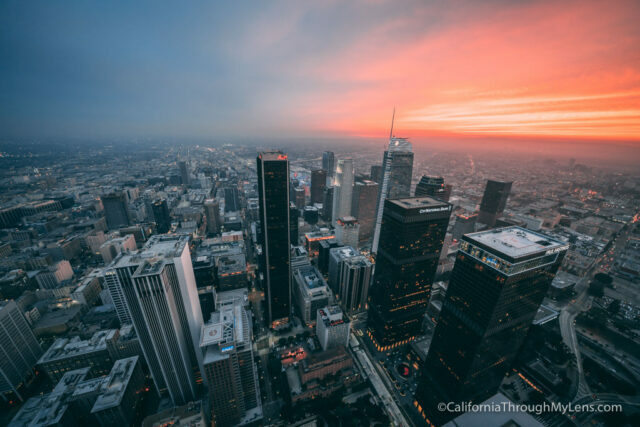 Over the last few decades, downtown Los Angeles has gone through a significant shift. 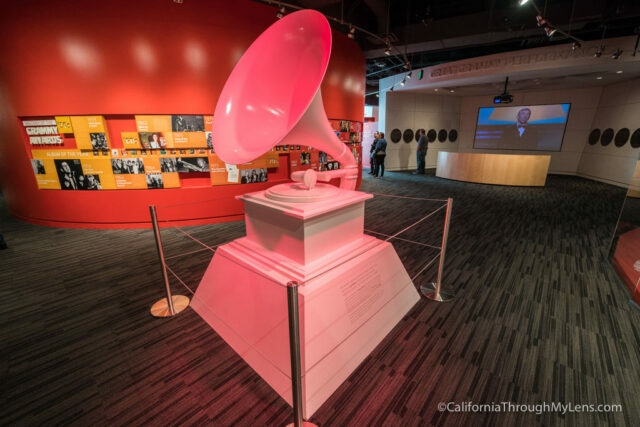 Places like The Broad, Walt Disney Concert Hall, and the Arts District are leading this charge with new places to eat, drink and explore in the city. 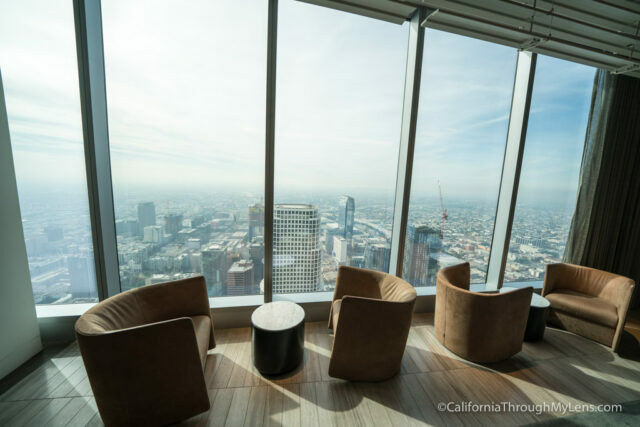 I recently partnered with the Intercontinental Hotel in Downtown LA to spend 24 hours staying and exploring the property plus the highlights around it. Here is the itinerary I created so that you can do the same trip. First off, the InterContinental in Downtown LA is a great place to stay in the heart of the city. 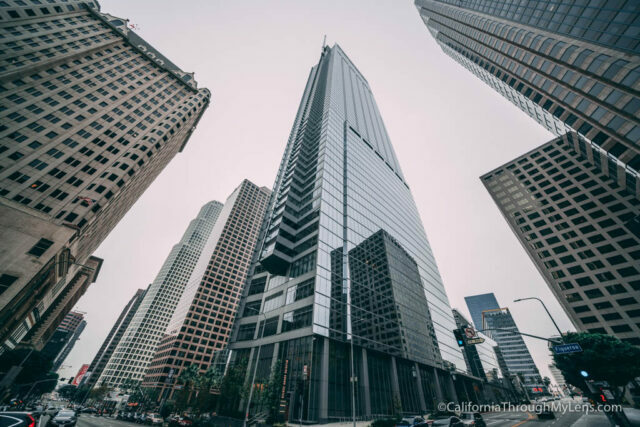 It is the tallest building west of Chicago, and it features a 70th-floor lobby, 73rd-floor open air bar (more on that later) and easy walking access to most of downtown LA’s best spots. Here is how we explored the area from the hotel. We headed into LA mid-morning on a Sunday and drove first over to Smorgasbord near the arts district. 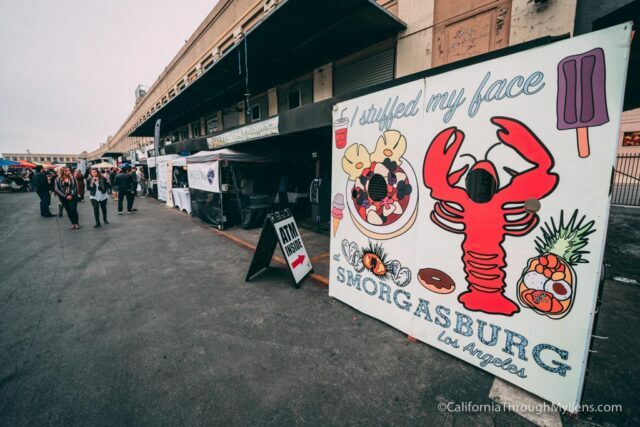 Smorgasbord is only open on Sundays, but it is a fantastic event with over 30 food vendors and places to shop. Many locals come out for it each week, and it is a fun place to try unique food. 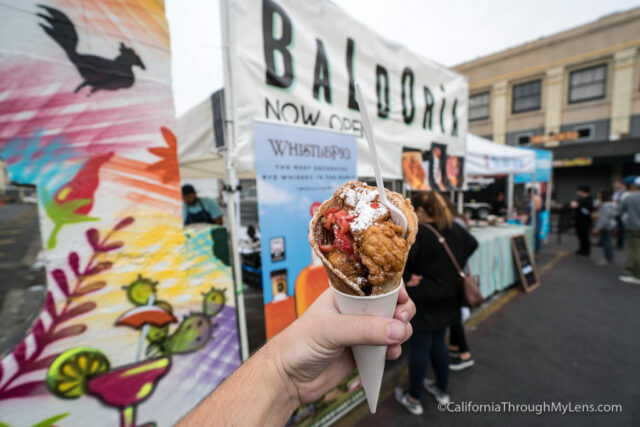 Fried chicken in a waffle cone anyone? After getting our fill, we headed over to the InterContinental to drop off the car and our luggage before continuing our exploration on foot. From the hotel, we walked about a half mile down to LA Live. LA Live is a mecca for restaurants, neon signs, and events. 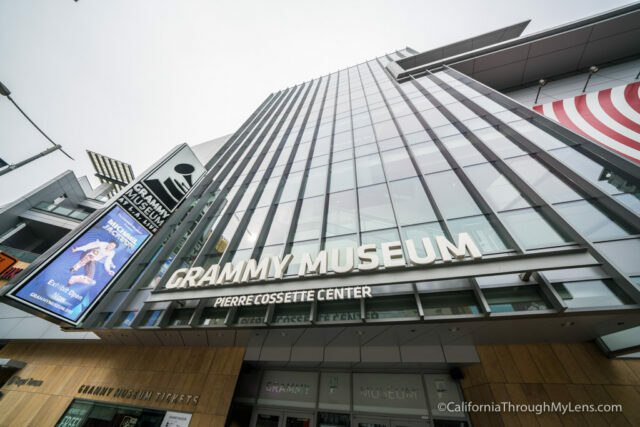 I wanted to go to the Grammy Museum though so we went during the day. The museum was $12, and it was a lot of fun as it was very interactive and had places where you could try your hand at playing instruments and even singing along with Garth Brooks. 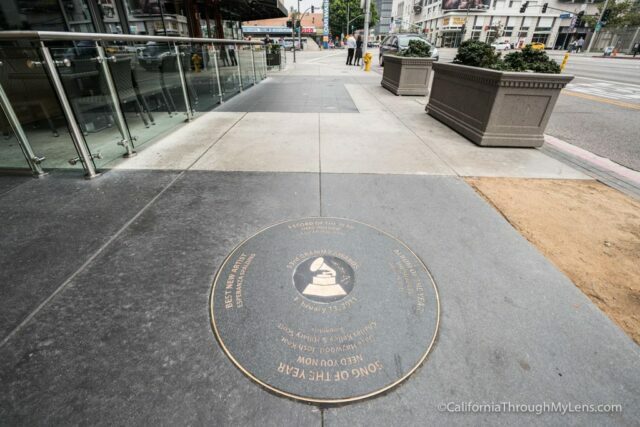 Don’t forget to check out the Grammy Walk of Fame (records commemorating past winners) in the ground outside of the museum as well. From here we walked back to the hotel and got checked into our room before spending some time relaxing in the 70th-floor lobby. This spot is fantastic for views, and they have all sorts of different types of chairs for you to hang out in and a bar for drinks or food. Heading out again, we went first to Pershing Square which was about .4 miles from the hotel. 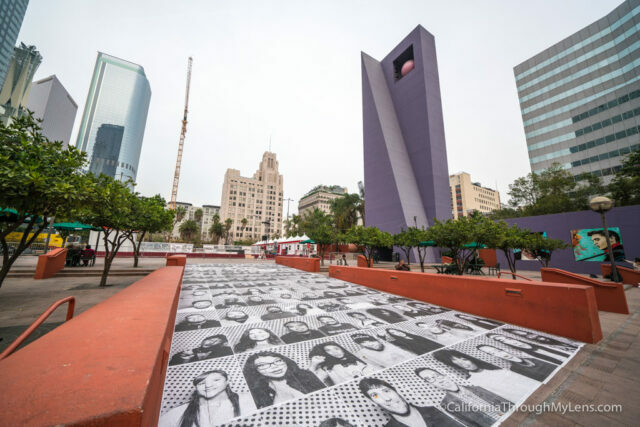 Pershing Square has fallen into disregard over the years, but it is still a central spot in LA that has ice skating in the winter and areas for children to play year round. 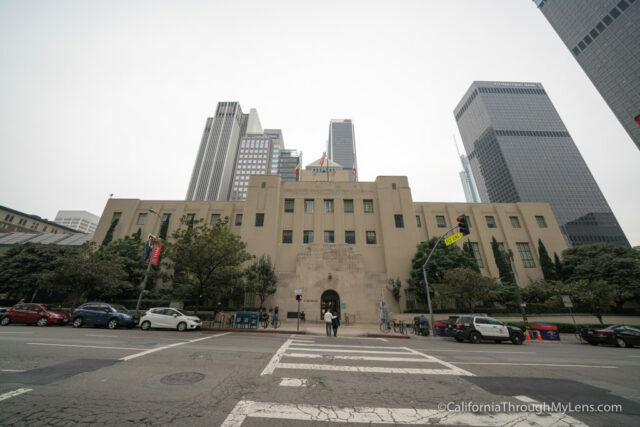 Two blocks up from Pershing Square was our next destination, the LA Library. 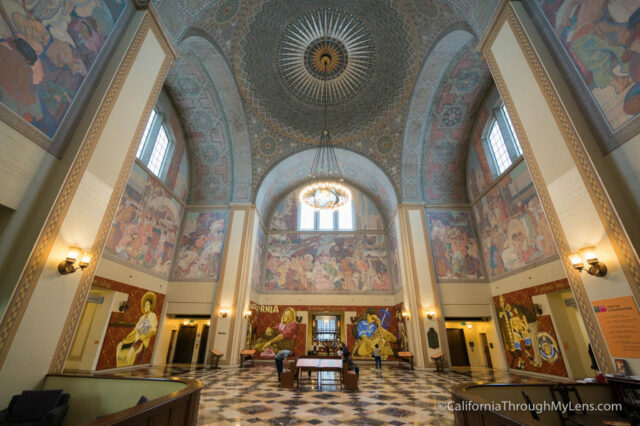 Even if you are not a book reader, you want to check out this historic place as the rotunda on the second floor is breathtaking as is the atrium on the east side. 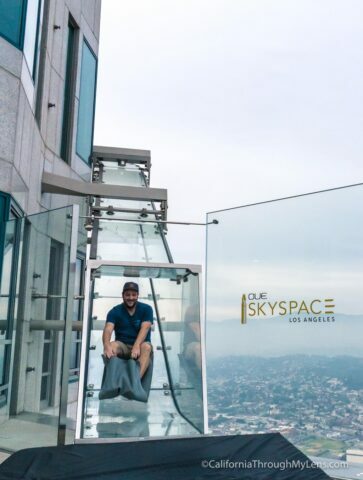 Across the street from the library is OUE SkySpace, which is an open-air deck in the middle of the city that has fantastic views and a fun new attraction called the glass slide. This slide is entirely see-through, and you slide down one whole floor over 70 stories in the sky. 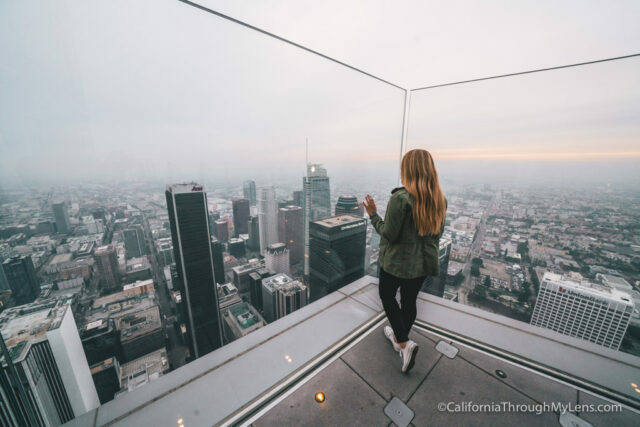 It’s also a great place to watch the sunset as it has a deck that faces where the sun is fading into the sky and looks over the LA skyline. The Intercontinental Hotel is right in the middle standing tall. 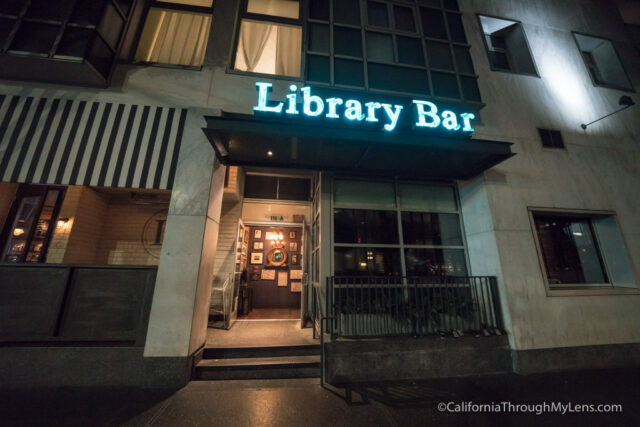 After watching the sun go down, we walked over to dinner at the incredibly popular downtown LA spot known as the Library Bar. 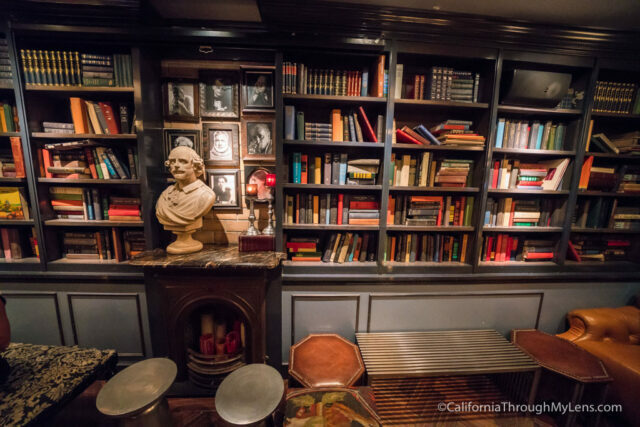 This small bar doesn’t look like much from the outside, but the food is awesome and the wall full of books add to the fun vibe. I recommend trying the Impossible Burger patty here, which is a new LA obsession. The company behind the Impossible Burger has made a patty that is plant-based but cooks and even bleeds like a meat burger. 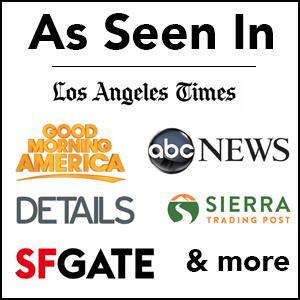 You can get them at multiple locations around the country, but they are most prevalent in Los Angeles. From dinner, we walked back to the Intercontinental and headed up to the 73rd-floor bar called Spire 73. 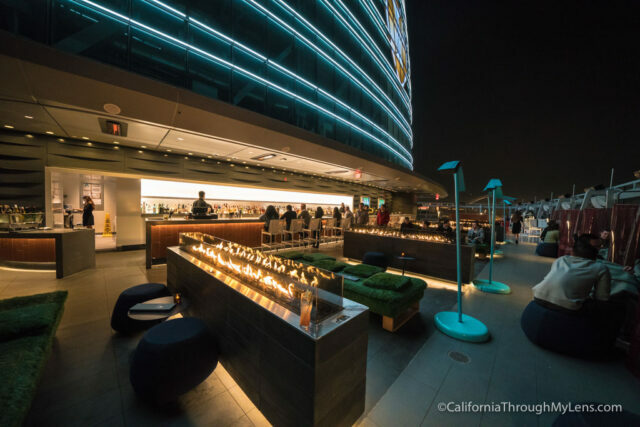 This spot is a great way to end the night as it is the tallest open-air bar in the western hemisphere and it provides a fun place to get a drink or some food and look over the city lights. Hanging out here is how we ended our night in Los Angeles. Waking up the next day, we made coffee in the Nespresso coffee maker in our room and Amie indulged in yoga in front of the floor to ceiling room window. 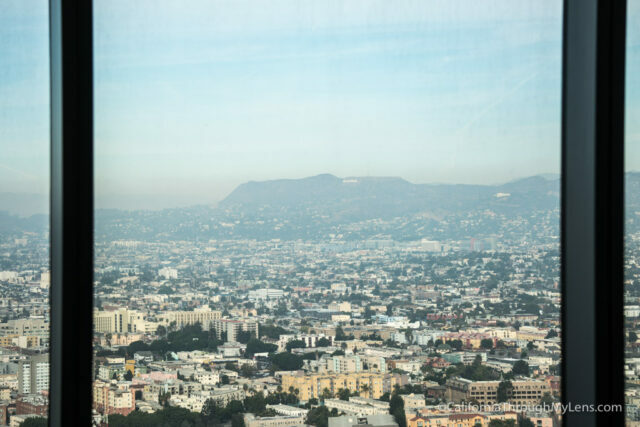 You could even see the Hollywood Sign out in the distance through the LA haze. After a lazy morning, we checked out of the hotel and headed down to Grand Central Market for lunch. If you are staying longer at the hotel you can walk here but it is about a mile, and most people will probably elect to grab an Uber/Lyft. 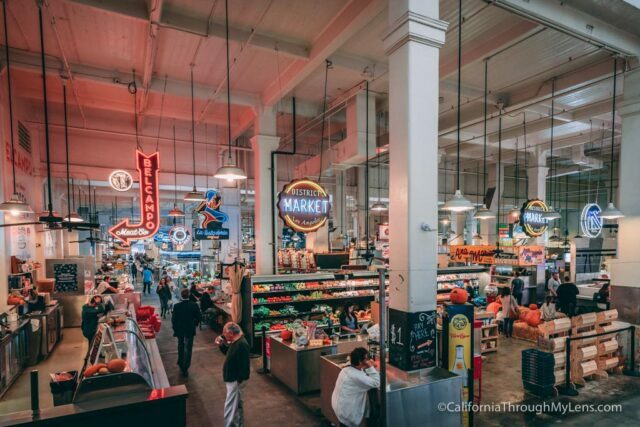 Grand Central Market is one of those places that really has changed over the last decade. Where once it was a tired scene with not too enticing food, it has now become a mecca for the expanding food scene in the heart of the city. It can be overwhelming to figure out where to eat here but I would recommend anything from EggSlut (be prepared to wait), the vegan ramen from Ramen Hood (even if you are not vegan), and the pastrami sandwich from Wexler’s Deli. You can also try the fun new place that makes unique peanut butter and jelly sandwiches (espresso peanut butter and raspberry jam is popular) if you are looking to get crazy as well. 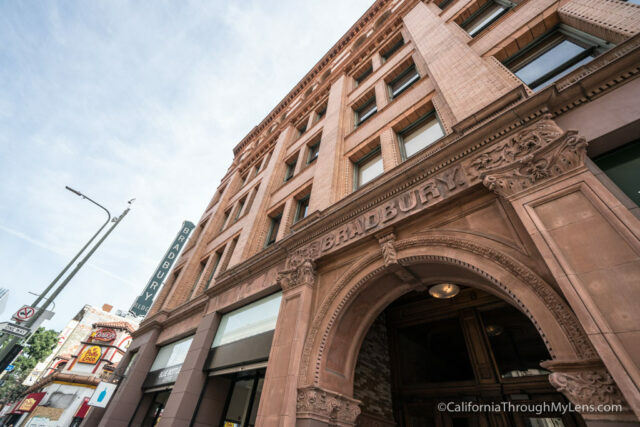 After indulging in food, head over to the Bradbury Building which is right across the street. This building is famous for being in the original Blade Runner and many other movies but it is just beautiful to walk around in as well. It is only open during the weekdays while businesses are in session though. 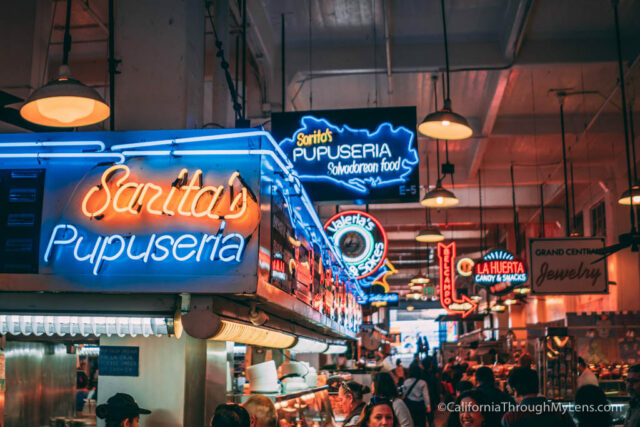 Last stop in Downtown LA before heading on to wherever your adventure takes you is Angel’s Flight, on the other side of Grand Central Market. 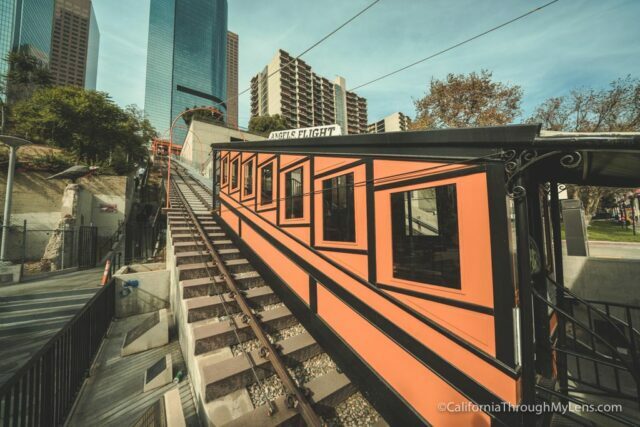 Angel’s Flight is a funicular that is over a century old and for $1 each way, you can take the 30-second ride to the top. 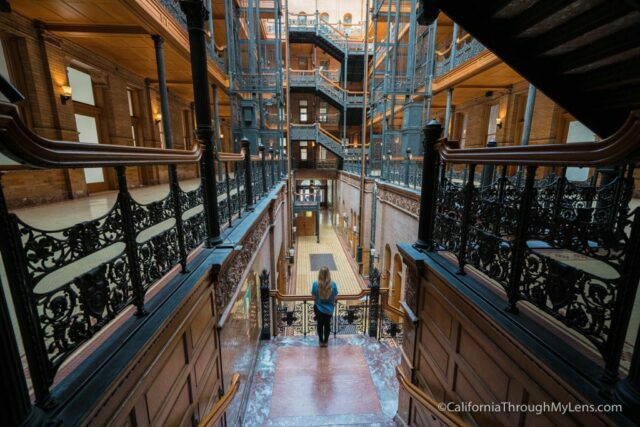 It was closed for the better part of 5 years but it recently reopened, so make sure you check it out when you are in LA. 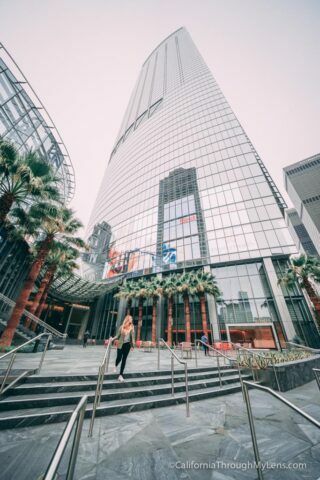 Thanks again to InterContinental for sponsoring this post and encouraging me to explore more of Downtown Los Angeles. 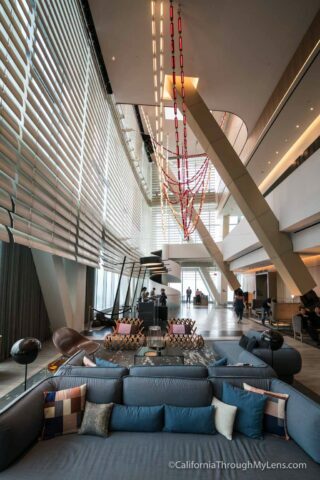 If you are looking for a great home away from home in the city, then be sure to check out the InterContinental Hotel. It would have been pretty easy for us to just stay in the hotel the entire 24 hours, as the lobby is beautiful and there are a lot of restaurants and a nice pool. If you are interested in staying here, shop the Your World Sale from IHG® Rewards Club to save 15-30% off destinations across the globe for a limited time. 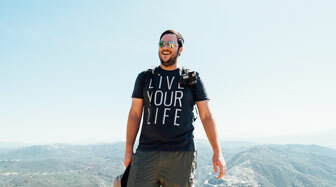 Be sure to let me know what your favorite spot is in Downtown LA below.